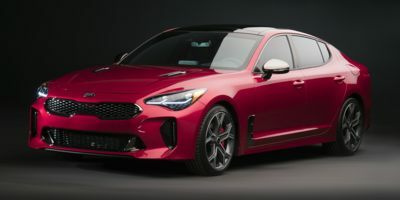 Customers may receive $2,000 on the purchase of a new, eligible 2019 Stinger from Kia Motors America, Inc. (KMA) between 4/2/2019 - 4/30/2019 if they qualify for the Competitive Bonus Program. Contact your local Kia dealer for a listing of eligible qualifying competitive vehicles and complete details. Qualifying customers are only eligible for a total of two (2) occurrences of Specialty Incentives during a calendar year and the vehicle utilized as the qualifying vehicle may not be the same vehicle in both instances. Offer may be combined with Low APR or Cash offers. Offer not compatible with lease offers. To be eligible, customer must show proof of qualifying competitive vehicle ownership (current registration) to Kia dealer where new, eligible Kia vehicle is being purchased. Void where prohibited by law. This incentive is a limited time offer on eligible Kia vehicles. Not all incentive programs are compatible. Additional terms and conditions apply. See your participating dealer for more details. All matters of program eligibility and qualification will be resolved by Kia Motors America, Inc. (KMA) in its sole discretion, and KMA reserves the right to change product and program specifications at any time without incurring any obligations.Offer valid from 4/2/2019 - 4/30/2019. Click here Opens a New Window. for a list of qualifying competitive vehicles.